The Brussels Summer Festival is known for its eclectic character, both in its programming and choice of location. The festival offers a very diverse program, with many different styles : from rock to hip hop through electro, pop, reggae and world music. In short, the BSF is not just a festival, it is a unique experience to be enjoyed to the fullest, in the heart of the European Capital ! 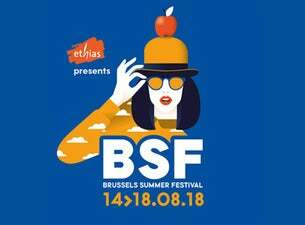 The 18th Brussels Summer Festival will take place from August 14 - 18. More names will follow soon!